By Gillie Tunley and Brenda Sandilands. Progress Theatre are staging Ibsen’s timeless classic, ‘A Doll’s House’, in a lovingly crafted production by Adrian Tang. It is a play about domestic revolution and a woman’s place in society and these powerful themes resonate still today. ‘Jerusalem’ at the Progress Theatre. Photo courtesy of the Progress Theatre. 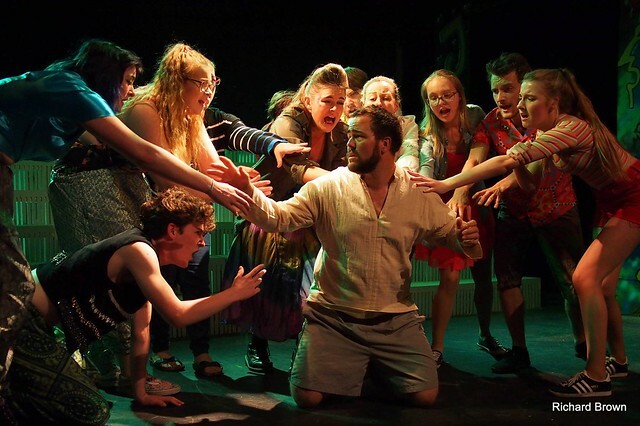 The inspired Progress Theatre Company are staging Jerusalem, the acclaimed and award-winning play by Jez Butterworth. 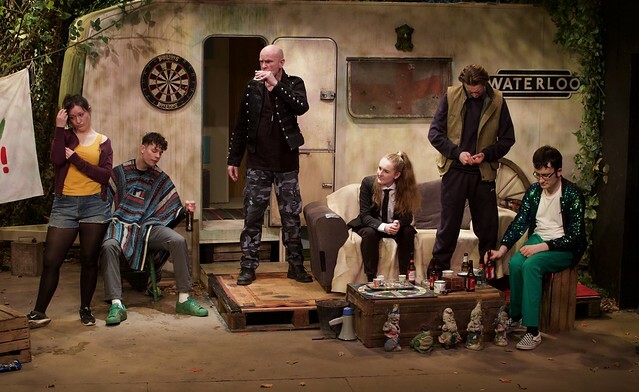 Tautly directed by the insightful John Goodman, it is a savagely funny and anarchic masterpiece of life in our green and pleasant land whose themes of disaffection, poverty and homelessness resonate still now. In the summer of 1816, a monster was born. 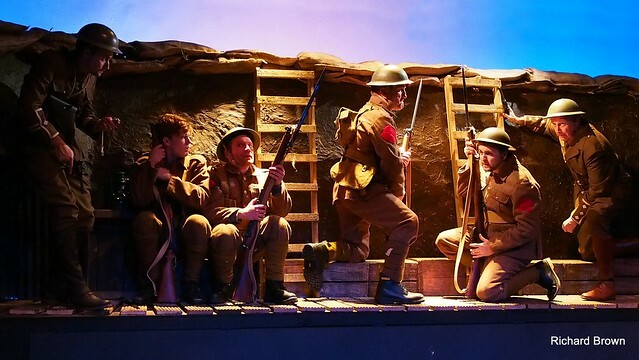 The Progress Theatre are performing Sebastian Faulks’ poignant Birdsong this week. Cleverly condensed for the stage by Rachel Wagstaff, this story of love and loss alternates between the war torn horror of 1916 and the tranquil peacetime of Amiens and is directed with great emotional insight by Steph Dewar. There were six new planning applications for Church, Katesgrove, Redlands and Whitley wards last week. They may be discussed at one of the next Reading Borough Council planning applications committees. Jesus Christ Superstar at the Progress Theatre. Photo (c) Richard Brown. The Progress Theatre dazzled on 12 September with Andrew Lloyd Webber and Tim Rice’s rock musical Jesus Christ Superstar, directed by the inspirational Andy Camichel with wonderful musical direction by Jane Southern and fabulous Band, and choral coaching by the versatile Stuart McCubbin. 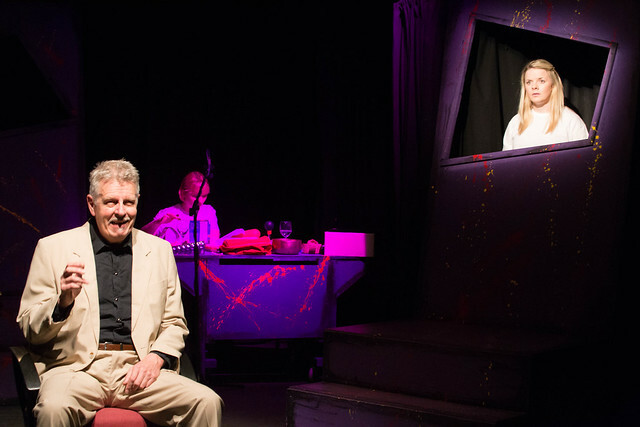 ‘Scenes cut from other plays.’ Photo courtesy of the Progress Theatre. The Progress Theatre scintillated with their Scenes Cut from Other Plays (superbly scripted by Emily Goode and the Cast and mercurially directed by Rik Eke) depicting madcap tableaux and musical mayhem. 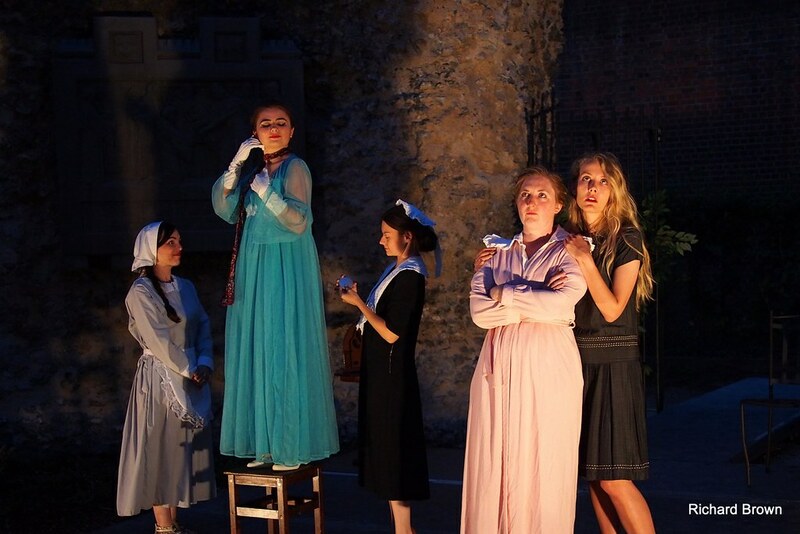 ‘Much Ado About Nothing’ at Reading Abbey ruins. Photo courtesy of Richard Brown. The Progress Theatre‘s delightful production of ‘Much Ado’ transports us to an English country house in May 1945, with most of the action taking place on the veranda and gardens. This clever choice allows the cast to make the most of the glorious outdoor setting – the magnificent Reading abbey ruins. It also means that a simple stage and few props are sufficient (a wireless and a patio table with chairs). Happy Jack at the Progress Theatre. Photo (c) Richard Brown, courtesy of the Progress Theatre. Progress Theatre are staging Happy Jack, John Godber’s timeless and touching tale (inspired by his own grandparents) of a couple in mining Yorkshire, where coal is king. Photo (c) Aidan Moran, Progress Theatre. This week the inspirational Progress Theatre are staging two original plays which examine the troubled world of mental health. Image by John Goodman, courtesy of the Progress Theatre. 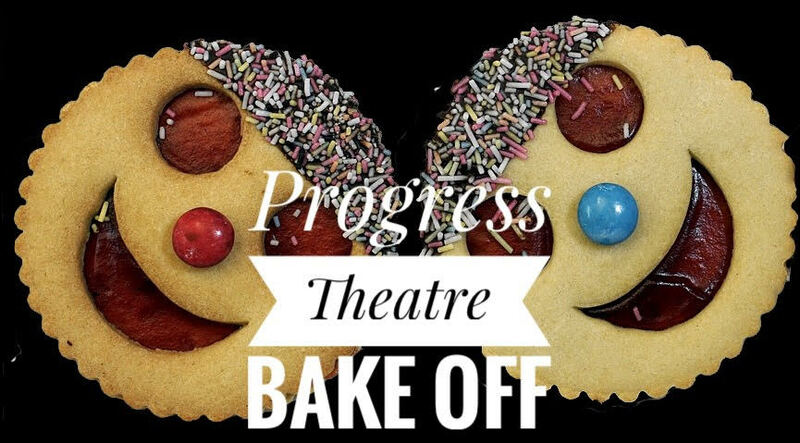 The Progress Theatre on Christchurch Road host a charity bake-off from 3pm until 6pm on Saturday 12 May to raise money to improve its car park. 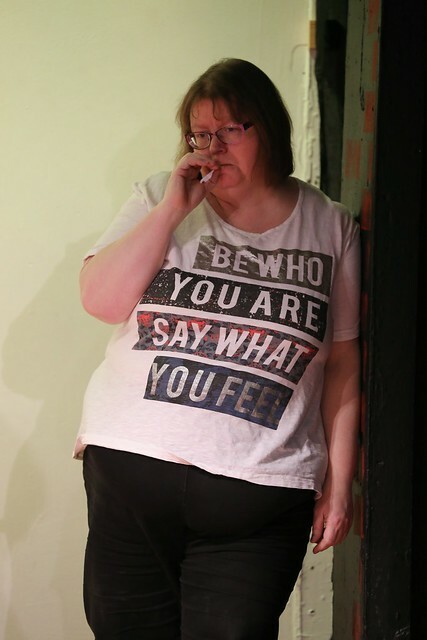 Alison Hill as ‘Kay’ in ‘Little Gem’ at the Progress Theatre. Photo (c) Richard Brown. 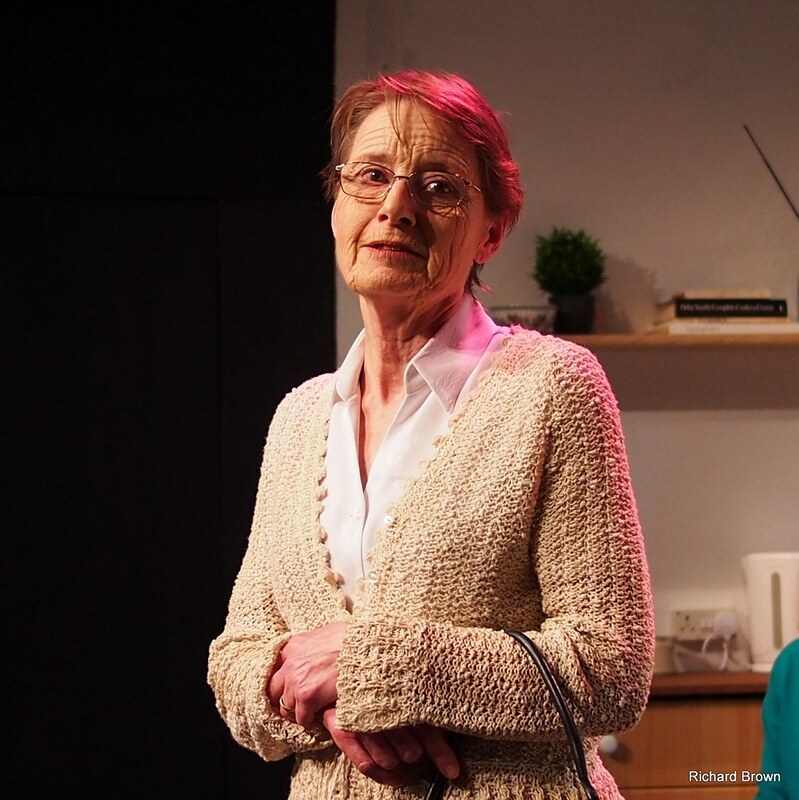 The Progress Theatre are performing Elaine Murphy’s tenderly crafted Little Gem next week. Steph Dewar’s warmly funny and moving production, intimately staged, employs seamlessly interwoven monologues that are delivered by three generations of working-class Irish women. 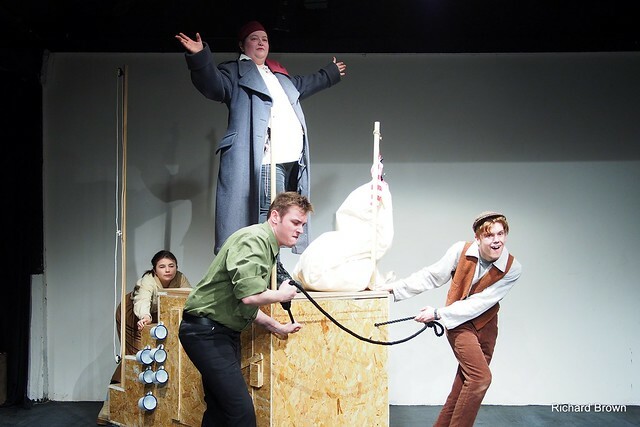 The Progress Theatre is performing Bertolt Brecht’s epic anti-war fable Mother Courage and her Children this week. It is a tale of the endurance, weakness, heroism and cowardice of ordinary people in a time of war. By Gillie Tunley and Matthew Farrall. 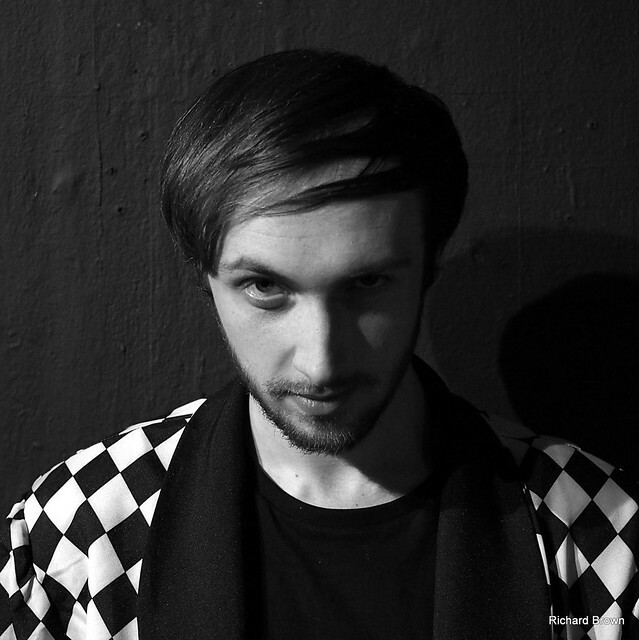 The fabulous Progress Theatre Company take us on a dystopian romp in their latest production of A Clockwork Orange, based on Anthony Burgess‘s cult novel and tautly directed by Matt Tully. 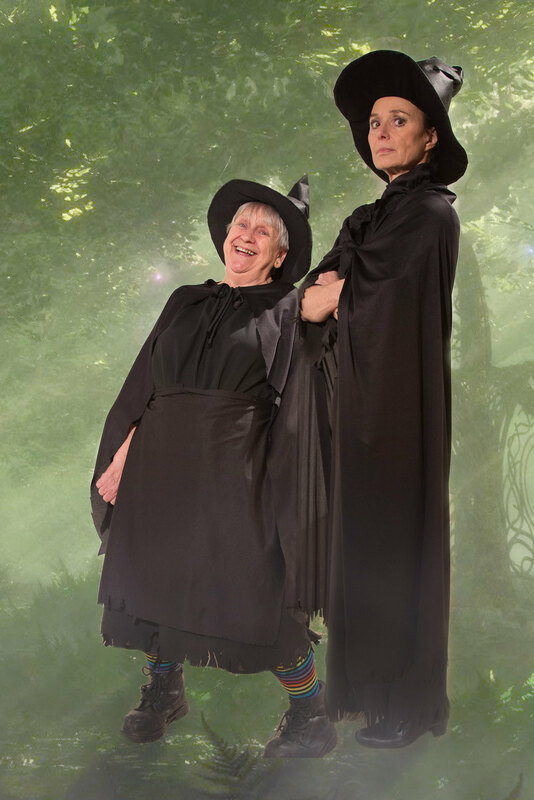 The Progress Theatre are staging the late-lamented Terry Pratchett‘s Maskerade this week, a Discworld play full of mystery, murder and musical mayhem. Chris Moran’s production fizzes with delicious lunacy – opera has never been such fun! 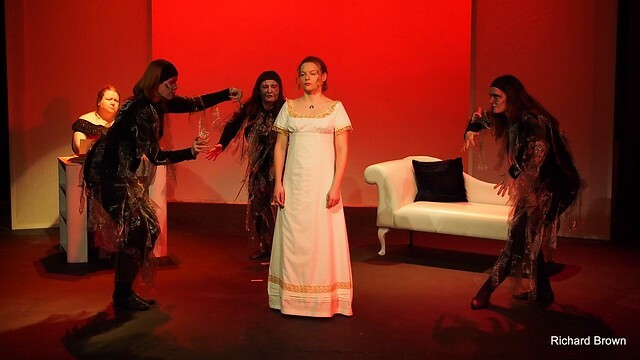 The Progress Youth Theatre staged a winning and witty production of Oscar Wilde’s The Picture of Dorian Gray at the Progress Theatre, Reading this week. It was skilfully adapted and slickly directed by Ali and Liz Carroll and engagingly performed by a mercurial cast of six, who slipped effortlessly between characters with the help of imaginative headwear and accessories, draped around the atmospheric set. 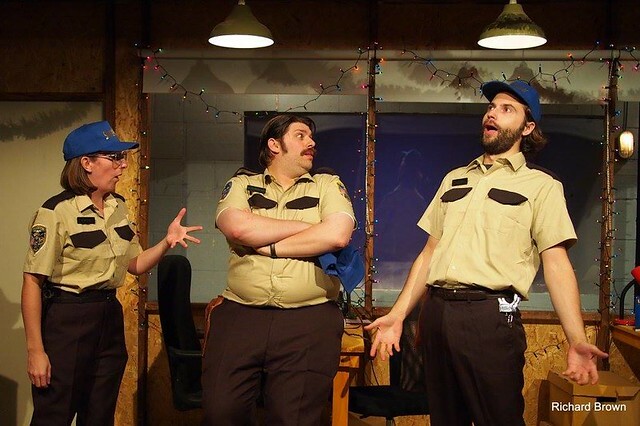 The Progress Theatre serves a slice of small-town America in the charmingly offbeat Buddy Cop 2 from the Debate Society of Brooklyn (Hannah Bos and Paul Thureen) and delightfully directed by the insightful Dan Clarke. This is the play where Shakespeare put language into orbit, elevating words far above their station and onto a higher shelf of consciousness and depth. 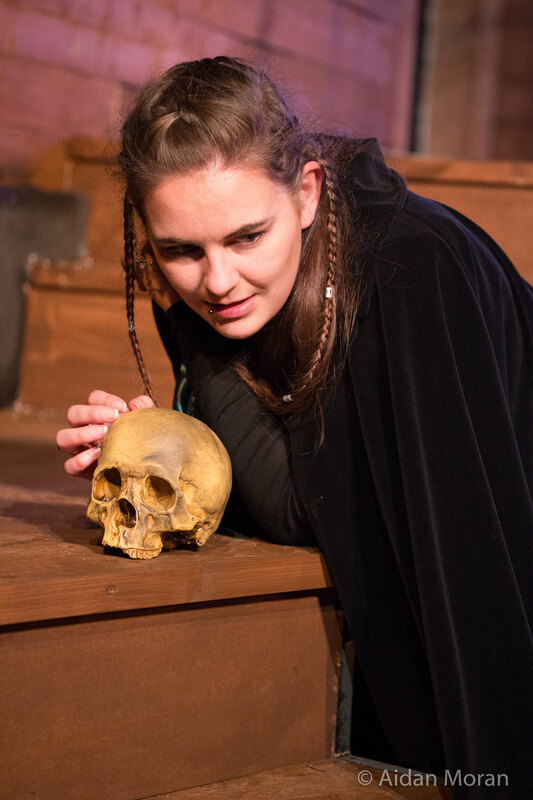 Any amateur production of Hamlet is ambitious; the lead actor has 1400 lines if played in full, and you need to be thespian mob-handed to cover so many other roles and speaking parts. Even the minor roles seem to have more layers than the earth’s crust. But the Progress is a theatre with ambition, courage and enthusiastic actors who seem to pull off most theatrical challenges with brio and aplomb. Even so, I would hate to “go on alone” for such a challenge (West end actor-speak for sober) and for the audience, a large G&T would seem mandatory.